Carbone adds to its product line the point welding machine for any type of work required. It is portable, light and easy to carry; it has a 6” (150 mm) and 7” (180 mm) pincers. 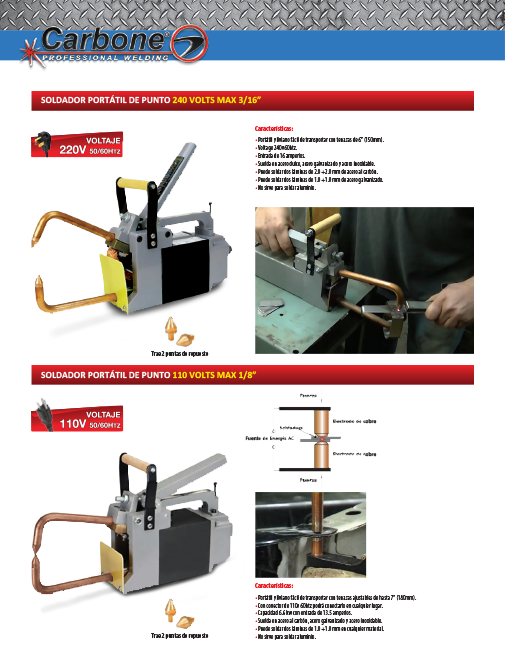 The point machine can weld mild steel, galvanized steel and stainless steel. It works with, two sheets of 2.0 + 2.0 mm carbon steel or two sheets of 1.0 + 1.0 mm galvanized steel or carbon, galvanized steel, stainless steel and with two sheets of 1.0 + 1.0 mm of any material. Not to be used for welding aluminum. 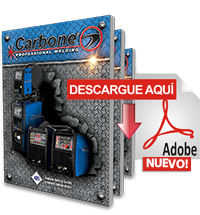 Carbone Panamá introduces its new line of point welding machines. We offer a variety of machines with various regulations and features to perform any work you need.